Whether you own a home or a business, you’re probably well aware that if the exterior looks dirty, then the aesthetic of the entire home is effectively diminished. We here at Change My Paint can’t stress the importance of a clean paint job enough, even after we’re finished with the exterior painting. As home and business owners, it’s in your best interest to maintain the look of the paint long after our Lexington painters depart from your home. Today, we’re going to go over some exterior painting maintenance tips to hold you over until it’s time for a fresh paint job. While it doesn’t get too snowy down here in South Carolina, we do get a good amount of rain. If you have white exterior painting, then the dirt from the storms and rain could leave unsightly marks on your home, making it look grimy. 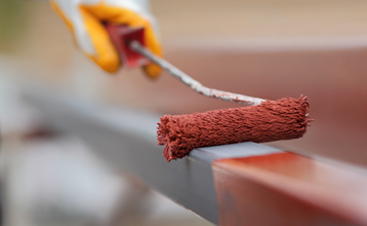 Before the dirt has a chance to stick and stain the paint, make sure to wash down the exterior. Usually, if you’re diligent, a quick power washing with the hose will do the trick. Sometimes, if you wait, you may have to use some sudsy water to get out the tougher spots. Cleaning between seasons is going to be your best bet in having a spick and span home. Usually, dirt will invade the exterior of your home regardless of how well you maintain it. Therefore, it’s best to schedule regular pressure washing treatments, especially after a particularly rainy spell. Pressure cleaning works to remove tough stains and grime from the exterior, giving it the clean and fresh look it had when it was first painted. 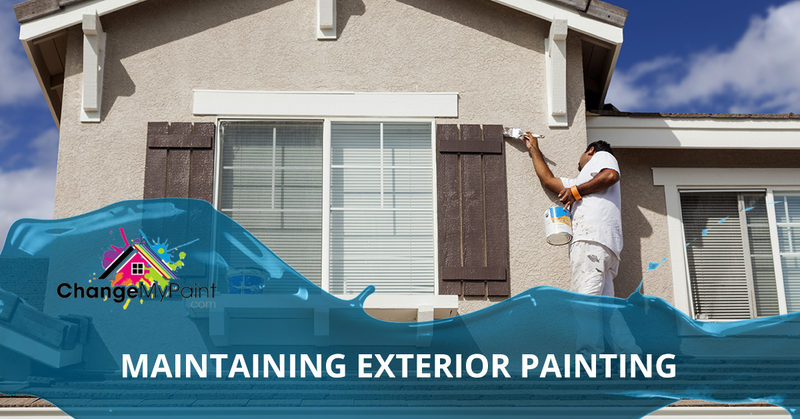 Most exterior paint is waterproof and durable so as to withstand the elements. Therefore, pressure washing is usually safe for most homes and will make the paint look fresh rather than run down. For a consultation on pressure washing, please contact Change my Paint. For the areas that still look a bit worn down after being washed, you may want to consider a touch up. Instead of coating the entirety of the home with a fresh coat of paint, you may just be able to touch up the areas that look a bit run down. Due to the risk of using a paint that doesn’t quite match the rest of the home or that isn’t suited for the environment, we urge you to contact a professional painter. Your home is your home and you don’t want it to look worse than before you attempted to fix it. Unfortunately, if your home is on the older side, you might want to just have it repainted. Sometimes, even if you regularly clean it, it might still continue to look run down. 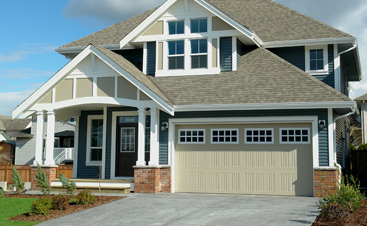 A fresh, professional exterior paint job could refresh the look of your home, making it look great for years to come. For pressure washing and painting services in Lexington and the Columbia areas, please give Change My Paint a shout out. Thanks for reading and we’ll see you back here soon.